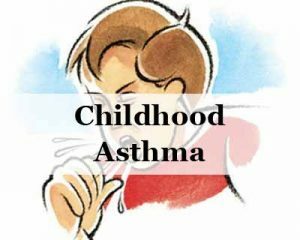 Asthma is related to various cardiovascular risks and there is abundant evidence that adulthood asthma has links with cardiovascular disease. Dr Dianjianyi Sun, at Tulane University’s School of Public Health and Tropical Medicine in New Orleans and colleagues, conducted a Study to evaluate the link between childhood asthma and aortic stiffness which is associated with heart disease and stroke.The researchers found that a history of asthma from childhood is associated with accelerated aortic stiffness in adults and potentially an increased risk of future heart disease.The study has been published in the American Heart Association’s journal Hypertension. The researchers performed a Prospective analysis among 1746 Bogalusa Heart Study participants aged 20 to 51 years with data on self-report asthma collected since childhood.They used a well-known non-invasive test ,Aorta–femoral pulse wave velocity (af-PWV, m/s)to measure arterial stiffness in 1,746 young and middle-aged adults living in Bogalusa, Louisiana.Aorta–femoral pulse wave velocity (af-PWV, m/s) was repeatedly assessed among adults ≥aged 18 years. Generalized linear mixed models and generalized linear models were fitted for the repeated measurements of af-PWV and its changes between the last and the first measurements, respectively. After a median follow-up of 11 years, people with a history of childhood asthma not only were more likely to have stiff arteries, but they developed the condition earlier in life than those without asthma. That was particularly true among people who were overweight or with prehypertension and hypertension (systolic blood pressure ≥120 mm Hg) compared with those with a normal body mass index or systolic blood pressure. The Authors concluded that a history of asthma from childhood is associated with higher af-PWV and greater increases in af-PWV, and such associations are stronger among young adults who are overweight or with elevated blood pressure.Therefore it is inferred that a history of asthma from childhood is associated with accelerated aortic stiffness in adults and potentially an increased risk of future heart disease. The study didn’t investigate why asthma might cause vessels to stiffen earlier in life than normal which may be explored in future studies. The experts speculate that the cause might have to do with inflammation and inflammatory nature of asthma is translating into premature vascular aging.